Self portrait at the Whiterocks Amphitheater in Snow Canyon State Park, Utah. Brian Passey is the owner of Em Dash. Among the most versatile punctuation marks, an em dash — or long dash — can be utilized in a variety of ways. Brian Passey is similarly versatile. He’s a professional writer, editor, and photographer with 13 years of experience as a newspaper reporter at The Spectrum & Daily News in St. George, Utah. He was the social media pioneer at The Spectrum as well as the lead writer for St. George Magazine and the Utah correspondent for USA Today during his tenure at the daily newspaper. Brian graduated from the University of Idaho in 2004 with a bachelor’s degree in journalism and a minor in English. Following graduation, he was selected as one of only 16 writers nationwide for a prestigious fellowship at the Poynter Institute for Media Studies. With Em Dash, Brian is using the skills he cultivated in the deadline-driven world of journalism to enhance the creative and professional work of individuals, companies, and organizations through writing, editing, publicity, and photography services. 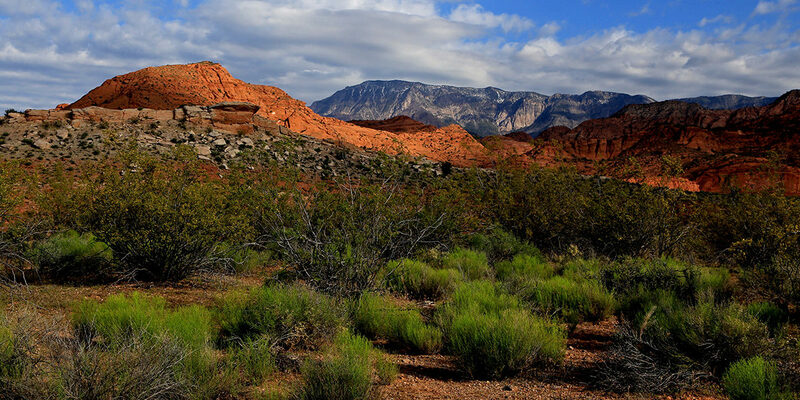 As a former award-winning journalist, Brian wrote about the culture and scenery of Southern Utah. While working for The Spectrum he created a series of BackTrek charity hikes that raised more than $10,000 for local non-profit organizations in less than three years. Those hikes still continue four times a year, benefiting charities as diverse as the Shivwits Toy Drive and Big Brothers Big Sisters. Brian resides in Washington City, Utah, with his wife, Cammie, an educator. They are both mentors in the Big Brothers Big Sisters program and Brian has served on the local board for BBBS since 2010. While he has a passion for photography, his focus is on writing. Current projects include a play, a novel and this blog. Brian and Cammie enjoy traveling, hiking, kayaking, using outdated slang, and playing “The Beatles: Rock Band” video game. Good to see you back. Wishing you the best; and keep writing. This is brilliant, I have already bookmarked this website on my web browser! I look forward to reading so much more from you! I had not heard about your lay-off, but I was starting to get suspicious because there were no articles with your by-line for the past few weeks. I am so sorry that corporations look at the bottom line and release the employees who have been there the longest (and thus, have the biggest salary). You are so talented, and a good friend. Good luck to you and Cammie, and please stay in touch. Hi Karen! Great to hear from you. I am still writing though. I have applied for a variety of jobs in the public relations industry and, of course, I have this blog to continue my writing. Also, I should be emailing the hiking group soon. I plan to continue the charity hikes and I hope to have one later this month. I’ll post regular updates for this blog on my professional Facebook page at Facebook.com/PasseyBrian if you want to keep track of when there is a new entry. Thanks for all the support and friendship through the years. We were shocked to hear of your departure. Eager to learn what happened. Can’t imagine the Spectrum would push out their best journalist. Look forward to connecting with you in the near future. Thank you John and Kristin. And thanks for checking out my new venture here at BrianPassey.com. Yes, we miss you Brian. The spectrum made a huge mistake in my opinion, to change the direction of their focus and format. We had to drop our subscription as some of our friends have. I wish you would consider starting up a paper to compete with the Spectrum. We’d be your first subscriber. Any chance of linking up somehow with the Senior Sampler? I’m glad we found your blog. Keep up the good work. Thanks, Roger. I appreciate the kind words. I’ve actually started my own business doing freelance writing, publicity, editing and photography. It’s called Em Dash LLC. I hope to continue this blog as well. However, I am still applying for jobs in the public relations sector and looked at options out of state. I had been looking for your interesting and fun articles in the Spectrum. I did not realize that you no longer work for the paper till a few days ago. It is very sad and I miss reading your articles. Good luck and wish you the best! Thanks, Perla, for the kind words. I’ll be starting a job as public relations specialist for Scottsdale Arts on Monday. We’re moving to Phoenix this Saturday. I do hope to continue writing on this blog, but it might be a little more Arizona-centric from now on. Could you email me Glen Rogers contact info.? I am the president of the Dixie Garden Club and I would like to have him speak to our group about medicinal uses for the native plants and trees in this area.